St John’s Wood, home to world renowned Lord’s Cricket Ground, is a microcosm of all things British. With its elegant buildings, boutique coffee shops and vast expanses of pristine green grass, it provides visitors and residents with their very own piece of quintessential England without actually being in the midst of the hustle and bustle of London. Well connected by the Tube network to the West End and City, workers enjoy a short commute back home at the end of the day and emerge into a well-established friendly community reminiscent of a Home Counties village. St John’s Wood station itself a much loved Art Deco treasure. So it is no wonder that leafy St John’s Wood is increasingly appealing to American families as a place to call home, with the presence of the American School an undoubted draw. Originally founded in 1951, the American School in London has grown from strength to strength and now teaches students from more than 50 different nationalities. Mrs Marchiony, a mother of three girls, moved to the area from Connecticut three years ago when her husband’s job relocated to the UK. Moving home, whatever the distance, can be a hugely emotional time for families so how did the family find life in London? “Following the initial period of adjustment we settled in very quickly,” says Mrs Marchiony. “During our time in St John’s Wood we have made many close friends, especially through the school, some which we would now consider ‘family’”. So why is it that this area feels like a “home away from home” for Americans? The Americans who choose to move to the area to be close to the school have formed a real community. Mrs Marchiony adds: “Living close to other people who are in a similar situation to you can be extremely comforting. We have a little family run deli round the corner which has helped our family when we were feeling particularly home-sick.” Panzers, located on Circus Road, stock an extensive range of American food including goldfish crackers. St John’s Wood was once part of the Great Forest of Middlesex, and until the end of the eighteenth century it remained in agricultural use. Apart from a small portion around Barrow Hill, which was owned by the Portland Estate, most of St John’s Wood had been acquired by the Eyre family in 1732. A second, smaller estate, nestled alongside Edgware Road, was acquired by John Lyon in 1574; the estate was later given by him to his foundation, Harrow School, on trust to maintain the roads between London and Harrow in good repair. Hence, a number of local road names reflect these links. John Lyon's Charity is today one of London's leading endowed educational charities. As well as its history and the aforementioned famous cricket ground, there are many other attractions which draw both tourists and local residents to the area. Regent’s Park is just a stone’s throw away and is the largest open space for sports in Central London. The park not only hosts another world famous institution, London Zoo, but also the highly acclaimed open air theatre where Shakespeare’s plays are regularly performed. Cafés and restaurants add to the ambience. St John’s Wood itself is also home to the most famous recording studios in the world – Abbey Road – after British pop sensation 'The Beatles' brought the area into the public eye with the iconic album covering featuring an image of the group on a zebra crossing outside the studios. Today tourists from all over the world dodge the traffic in an attempt to recreate this iconic picture. 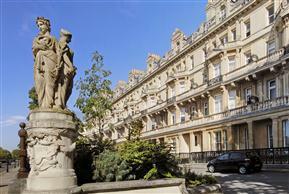 St John’s Wood is an idyllic location for long-standing residents and American short-stay visitors alike. It features all of the best aspects of London with the occasional home comfort to hand, and has a very special place in the hearts of many. 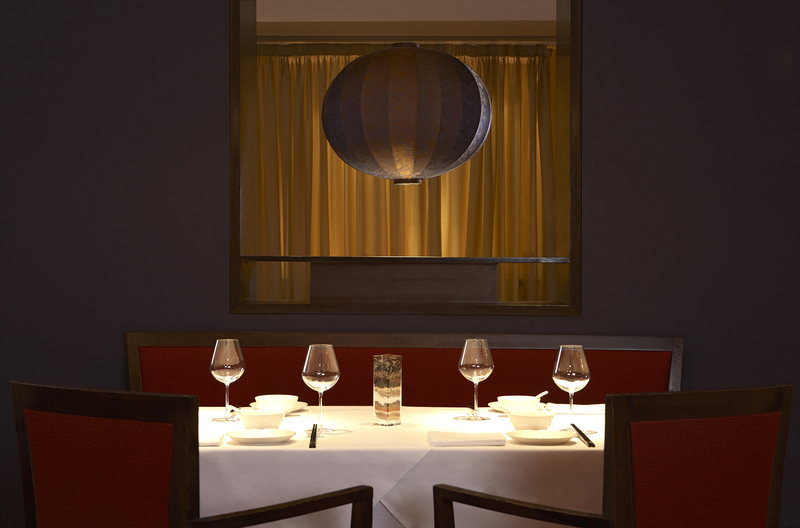 Recently opened in October 2012, Le Chinois offers modern Chinese cuisine in an exclusive setting on Sloane Street. Located in the Millennium Hotel, Knightsbridge, you enter the restaurant by an imposing white spiral staircase. The restaurant has a warm and welcoming ambience, furnished in dark wood with deep red and gold hues provided by the soft furnishings. Decorative lanterns, orchids and large oriental art works on the wall all add to the ambience and complement the food perfectly. A warm welcome, bottle of wine (Chenin Blanc £25.00) and some prawn crackers helped to us to relax as we sat down to examine the menu and settle into the atmosphere. Master Chef Chan Kwok, who has led the launch of Le Chinois, has succeeded in creating a menu that should appeal in equal measure to international clientele and die-hard fans of traditional Cantonese cuisine, such is the breadth of choice. The restaurant prides itself on Dim Sum, for which there is a separate menu between 12:00 and 5:00pm daily, and with this in mind we ordered the Deluxe Dim Sum Platter (£8.00) to start. A platter of delicious sesame prawn toast, spring rolls and other popular dim sum whetted our appetite for what was to follow. The choice of starters and soups is impressive and ranges in price from £6.00 to £11.00. The selection of main courses is equally broad, with many traditional meat, seafood, poultry and vegetable based dishes, as well as some new and exciting flavour combinations and some ingredients I have not seen before. Main courses range in price from £11.00 to £38.00 with vegetable options starting at £8.50. If you find the choice simply too difficult to narrow down to one or two dishes, then there is a Chef’s sharing menu for £30, £35 or £40 per person giving you the chance to sample more of the menu. We were directed towards the house speciality: whole crab or lobster served in a choice of sauces. We opted for the Whole Fresh lobster cooked in spring onion and ginger (£38.00). As my partner and I intended to share, I could not resist the lure of my all time favourite dish: Aromatic crispy duck served with pancakes, spring onions, cucumber and hoi sin sauce. We ordered a half duck which is suitable for two people to share (£24.00), with egg fried rice as an accompaniment. The lobster arrived; beautifully presented. Its delicate flavour set off perfectly by the spring onion and ginger. This was an impressive dish, which we both enjoyed immensely. Then the duck was presented and carved in front of us. The remaining meat was used to prepare an additional dish of wok fried minced duck served in lettuce. This was an unexpected surprise! I was not disappointed by the duck- I am in love with the sweet/sour flavour combination provided by the duck and hoi sin sauce, and the texture contrasts between the tender meat and crunchy vegetables. For me this is perfection in a dish! It may be a little controversial to comment that Chinese cuisine, in my humble opinion, is less celebrated for its desserts than others. With this in mind, I was delighted to find some classic favourites amongst the dessert menu (£6.00 for desserts). My partner opted for Crème Brulee and I chose the Apple Tarte Tatin, served with ice cream. Other options include Banana Fritters and Red Bean Pancake with Ice cream. If you are a fan of Chinese cuisine then this restaurant should be on your list, and I can almost guarantee that even if Chinese cuisine has not been a favourite of yours up till now, you will find something to delight your taste buds at Le Chinois. With school closed for half-term, a few days of rain under our belt, and two boys aged 10 and 7 firmly ensconced on the sofa with Xbox controls welded to their hands, it was time to head out! Our destination did not fill them with excitement, but they were perfectly happy when I explained there would be a café and a maze. Personally, I was itching to get back to Hampton Court Palace, having visited many years previously, yet still reminded of the captivating atmosphere it held. We arrived by train via Clapham Junction and made our way over the River Thames to the Palace beyond. Our first stop was the famous maze, free to Palace ticket holders. There was a suggestion to separate and meet in the middle, but as it was rather busy we opted instead to work as a team. A wise decision in hindsight as we, and many of our fellow maze-goers, were still searching for the middle a good twenty minutes later! Finally we made our way out of the maze (almost as difficult as finding the middle), and decided it was time for some refreshments. The Tiltyard café is a short walk from the maze and is built on the site of Henry’s jousting arena. Several sandwich es later we were ready to explore the Palace. We had been told on our entry to the Palace about some re-enactments that were taking place that day, and decided we would go and watch one. I had to manage the expectations of my youngest son who kept asking what time the ‘show’ started (his imaginings were of full scale musical numbers, fireworks etc!). However, I needn’t have worried. We met at the allotted time in the courtyard with other interested visitors and were immediately drawn in to the scenario by ‘Lady Exeter’, Anne Boleyn’s lady-in-waiting, in full Tudor costume. This scenario was Anne’s frustration at not being made Henry’s Queen after seven years of courtship. We then heard how Henry considered turning his back on Rome to allow him to annul his marriage to Catherine of Aragon. We, the crowd, became members of the Royal Court, and took part in the role play to follow. We followed Lady Exeter through to Henry VIII’s apartments where we met Anne Boleyn. Henry himself entered, dressed just as he appears in so many portraits, and with a genuine presence about him that allows you to suspend belief and step back in time. An argument ensued, resulting in the disappearance of Anne, who we then had to ‘find’. The children were hooked, as was I. These re-enactments are a regular feature and happen at different times during the day. They really do bring the history to life, and make for a much more exciting way to find out the secrets of the Palace than reading the information boards. Having said this, most of the displays are interactive, with touch screens, video clips and other clever uses of technology to keep everyone engaged and interested. We wandered through other parts of the Palace on our way to the gardens. In a rare reversal of roles, I was left dawdling at the back, being hurried along by my two boys. Mainly because every corridor you walk through reveals something amazing…a beautiful fresco on the ceiling, grand staircase, or famous portrait. Arguably the most impressive part of the Palace for me is the Chapel Royal, with its stunning ceiling decoration. This also holds great historical significance as the place where Jane Seymour (Henry’s third wife) lay in state for three weeks after her death, having previously been the place of her and Henry’s beloved son’s Baptism. The gardens are impressive in their size and variety. They offer an abundance of space and tranquillity, running alongside the River Thames. Visitors of all ages will enjoy the sight of the sparkling fountains, and the 18th century Privy Garden invites you to wander slowly down the paths admiring the floral displays. There is also the chance to see the oldest and largest grapevine in the world. If you are 7 or 10 then the main attraction here is the sheer space, and opportunity to run, hide and explore! It was time to head back to the station. 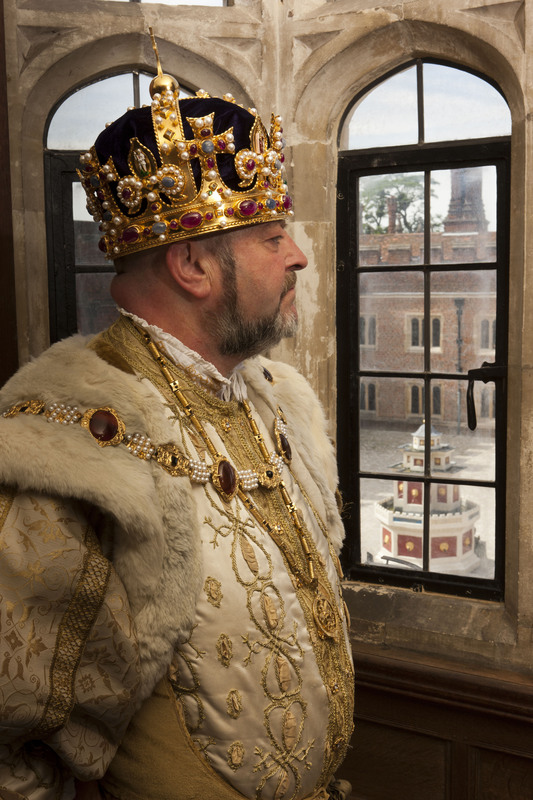 We had seen so much, and yet so little of what Hampton Court has to offer. It is one of those places that you could return to time and again and always discover something new and fascinating. Needless to say I am thinking about that return visit already and have no intention of leaving it ten years this time!